Spring brings a fresh new season, more sunshine and outdoor activities and the yearning to have a fresh start in a new season. After Winter with all its dirt brought in from snow days, germs from the cold season and accumulated stuff from the holidays I am left desperate to declutter, clean and minimize! 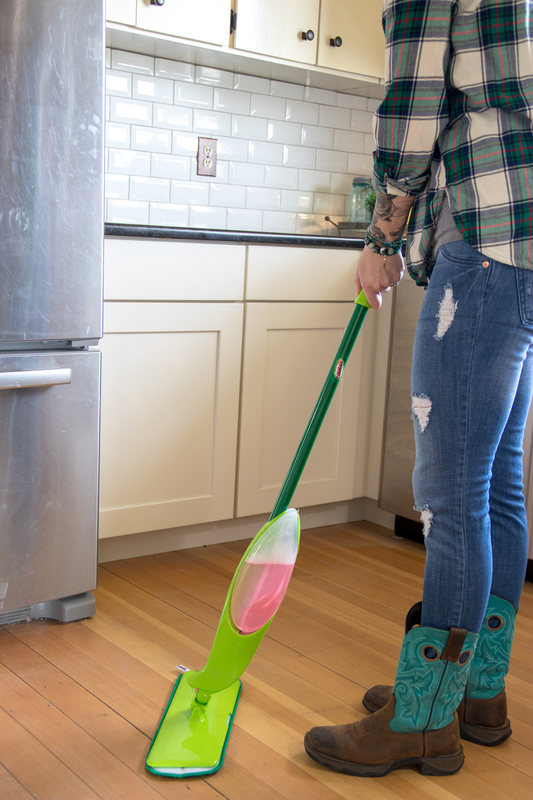 This season can be a busy season so Spring cleaning tasks that can be done in less than an hour is crucial to quench the craving for a clean and less cluttered space. Let me share with you how! 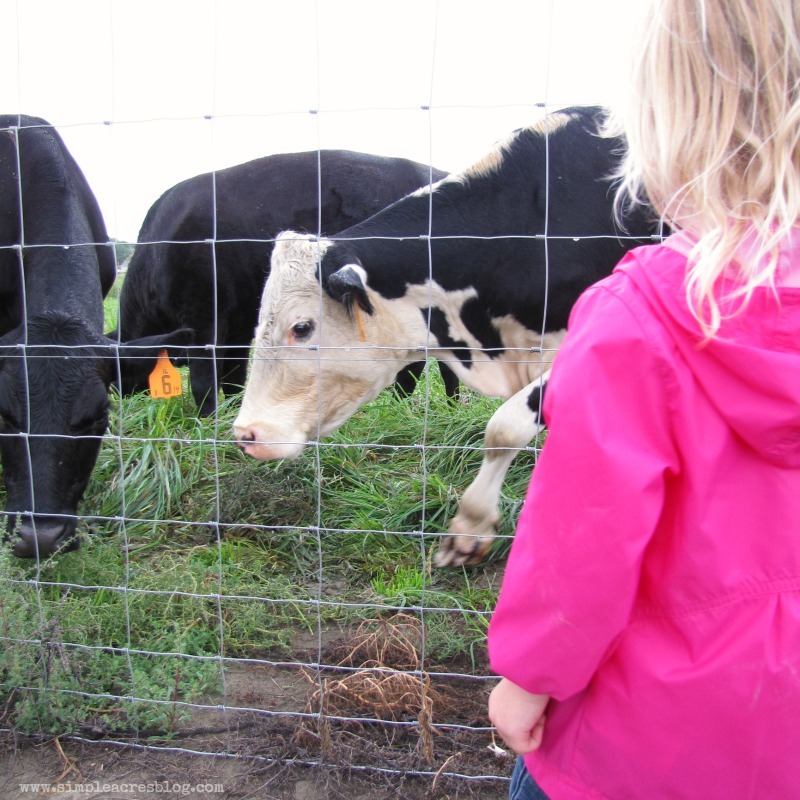 Living on a farm with lots of acreage (dirt), animals and kids can make it a challenge to keep a clean home. One thing that is the cornerstone to making it feel more possible is to declutter and minimize your stuff so it feels less overwhelming to keep what you have organized and clean. Decluttering is coming soon in a series of blog posts but today I am so excited to share with you the simple ways YOU can clean your home in minimal time! 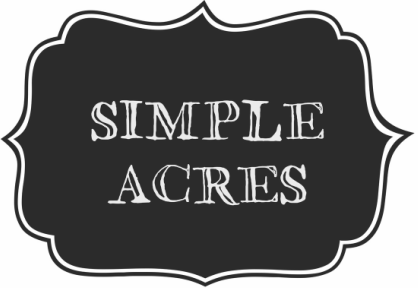 Life is short and one topic we talk a lot about at Simple Acres is living a present life. A life with the time and ability to be present and engaged with your loved ones increases quality of life and shifts focus to the things that really matter. After years of feeling like all I do is try to pick up and clean after STUFF that never seems done or in minutes from the kids is undone I am really shifting towards minimalism in life. 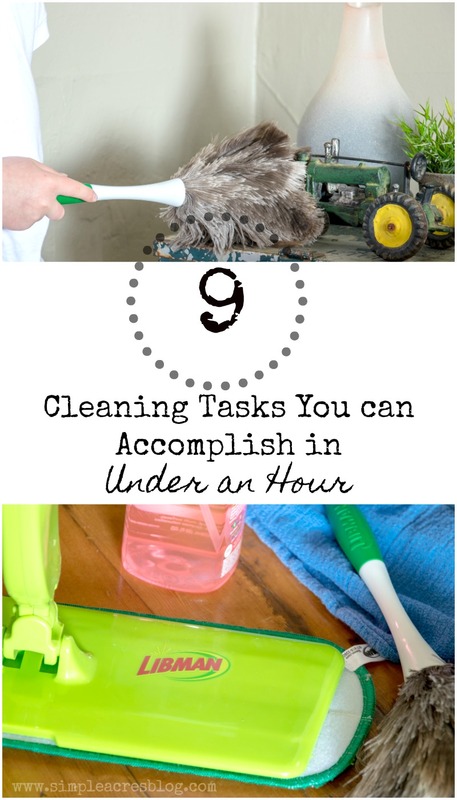 This article takes that aspect and interest focused around cleaning so you can feel less stressed and more accomplished in your home. 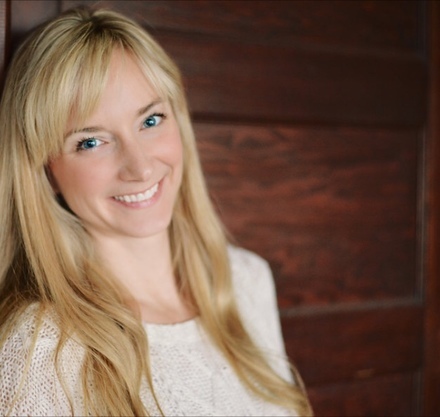 I feel blessed to get to collaborate with Libman Company with this post. They are a family owned business with a passion for helping you keep a clean space. Right now you can snag a $3 off coupon as well when you sign up for their newsletter so don’t miss out on that great deal! Vacuum furniture. A quick clean of the seats and backs with a spritze of furniture freshener will do the trick. Dust hidden corners. Get your kids involved with the feather duster by Libman Company. While you are cleaning other spaces the kids will enjoy dusting with this handy tool! Wipe down kitchen cabinets. Just use your favorite surface cleaner and a clean rag to clean this surface. This is another chore I find kids love to do. Freshen up walls and trim work. I use the same thing I used for the cabinets for this job. Focus on your main rooms and gathering spaces at first. Clean off ceiling fans. Tape the feather duster onto the end of the broom and dust those fans easily. If your dust looks more like a one inch layer of dirt you may need to use your vacuum with the soft brush piece on the end. Shine up appliances. I do a quick swipe of these when the cabinets are being cleaned. Clean floors. 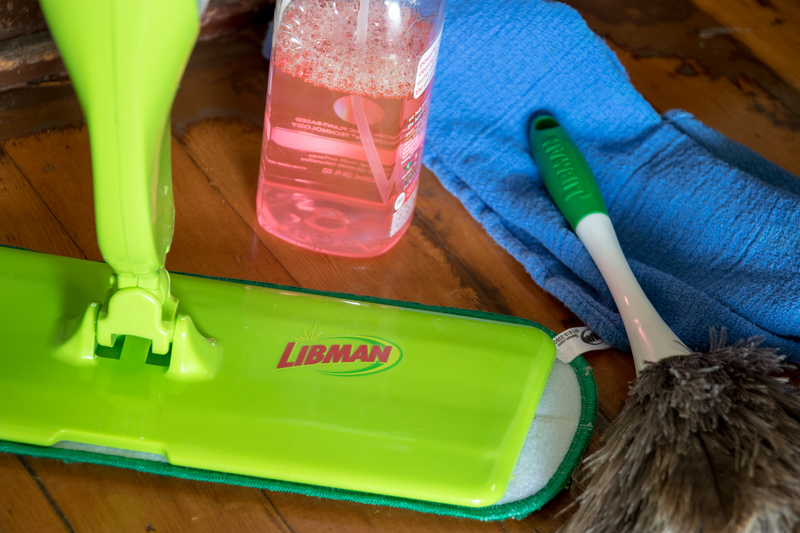 Use the Freedom Spray Mop by The Libman Company for this job. Once you fill the reservoir with water and cleaner it’s just a push of a trigger as you spray your hard wood floors, tile or linoleum and mop away! Wash windows. This is another task to delegate to a child with a spray bottle of window cleaner and towel. Declutter a junk drawer. Pick the smallest most simple space to clear out. Just doing a drawer here and there feels less overwhelming but gives you a quick sense of accomplishment as you slowly reduce the excess in your home!